IBS 1K Nationals Report. Litz's New Fullbore .308 Ammo. Precision Shooting, Precision Shooter, Precision Rifle, 223 6mm 243 6BR 308 Shooting, Hunting, Benchrest, Varmint, Tactical. 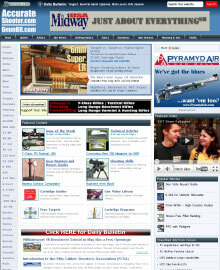 Join the leading web community dedicated to precision shooting and accurate rifles. Here you'll find Load Data, Top Gunsmiths, Message Boards, Gear Reviews, and scores of feature Articles. The box above shows the first paragraph of the 12 most recent stories... without the pictures. To see PHOTOS and VIDEOS and 2500 more stories, go to the DAILY BULLETIN PAGE. CLICK HERE to access the easy-to-read BULLETIN PAGE. All content Copyright © 2015 AccurateShooter.com | 6mmBR.com, All Rights Reserved. Masthead photo: Mustafa Bilal's BAT-actioned benchrest rifle of select Turkish Walnut from BestWalnut.com. Photo Copyright © 2004 Turk's Head Productions, All Rights Reserved. Used by Permission. Other 6mm BR Norma and Norma Brass photos courtesy Norma, and 6mm BR Norma Lapua brass courtesy Lapua and Lapua's U.S. Distributor, Kaltron Pettibone.